Common Wentletrap - Epitonium Clathrus. 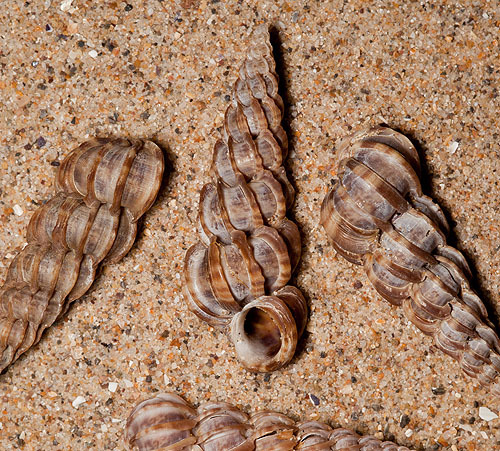 A tall, narrow shell, up to 4 cm in height (these examples are 3 cm) with up to 15 swollen whorls with pronounced ridges. A species which migrates onto the lower shore during the spring and summer to spawn. Present on South and West coasts of Britain , found on sandy and muddy sediments. Feeds mainly on Sea Anemones.